"On the first day of Christmas, my true love gave to me, a hawk in an apple tree." What??!! Those aren't the right words. That's why this is a Mad Lib®. 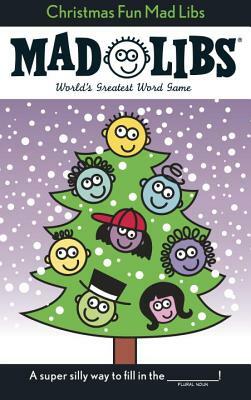 From "Christmas Vacation" to "A Visit to Santa at the North Pole," Christmas Fun Mad Libs® can add laughs to your holiday. Make traditional songs and stories wacky by adding parts of speech. Just read the simple directions and play Mad Libs® with friends or by yourself. It's the world's greatest word game.